My new Nation column is called “A New Documentary Profiles Liars for Hire,” and it’s about a film called Merchants of Doubt that I saw at the New York Film Festival. I don’t have a lot to report this week. I saw The Fortress of Solitude at the Public this weekend, but I need to wait for opening night to tell you how much I enjoyed it. I did see a wonderful show by The Fab Faux at the Beacon that I previewed last week; it was the “John vs. Paul” show and while watching it, it reminded me, oddly I know, of the series my friend Abby Pogrebin is doing for The Forward about Jewish holidays. You can find that here. Why? Because a hall like the Beacon is kind of a temple and having it full of people enjoying, appreciating, and singing and dancing (though not too loudly and annoyingly) to the music of the Beatles played reverently and imaginatively (especially since the post-1966 stuff was never played live) is a damn near religious experience. It supplies the feeling, at least for this Jew, that both Abby and I cannot locate in a Yom Kippur service. They had a horn section and a string section for the Beacon, so I can’t guarantee they will be as great when you see them, but if you want to take my advice, here is their schedule. YES—Songs From Tsongas contains two different concerts from YES’s 35th Anniversary Tour in 2004, the last tour to feature the classic line-up of Jon Anderson, Steve Howe, Chris Squire, Rick Wakeman and Alan White. In addition to the originally released Songs From Tsongas show, on Blu-ray and a three-CD set is packed with an additional 70 minutes of never-before-released highlights from Lugano. I still love YES, even though a lot of people think that is a sign of lameness. And indeed, much of the later stuff is lame, but the great stuff is all here and the guys don’t look so bad. Genesis has a three-CD box set called R-KIVE. I have no idea why it’s called that. This is the first time I have tried to like Genesis, though I do like a lot of Peter Gabriel and some Phil Collins. This collection spans 42 years, and has 37 tracks in historical order the band's compiled, alongside selections from the solo careers of Tony Banks, Phil Collins, Peter Gabriel, Steve Hackett, and Mike Rutherford/Mike & The Mechanics. It made me order a copy of The Lamb Lies Down on Broadway, so I guess it did the trick. I also got a Blu-ray called Back to Front: Live in London from Peter Gabriel on June 24, 2014 at London’s O2 and features a performance of the So album. Another ZZ Top Blu-ray also turned up. This one, Live at Montreux 2013, reminds me a lot of the last one, so if you don’t have that, you might want this. Finally, there’s a book everybody who has read this far would be happy to have and that’s Danny Clinch: Still Moving (with a forward by Bruce Springsteen). The title is borrowed from Willie Nelson’s “Still Is Still Moving To Me.” The photographs, nicely reproduced, are of Bob Dylan perusing a Spanish-language newspaper in the famed Ambassador Hotel, his two-tone loafers perched upon a table. Willie Nelson, blissed out and beaming in a fog of smoke. (The anti-Semite) Roger Waters eclipsed by the looming fortification of Pink Floyd's The Wall. Gregg Allman walking alone through wet Georgia woods painted in Spanish moss. Tom Waits merrily riding a carousel pony, toy gun blazing. Neil Young fixed in the rear view driving a classic Cadillac through the streets of Nashville, and the like. I would have preferred a historical organization rather than a thematic one, but per usual, nobody asked me. With a list price of $50, it’s actually priced awfully reasonably for this kind of thing, if you are already thinking about gifts. Serious question: What do political reporters think voters really care about? The pat answer, of course, is “the issues that matter to them.” But I don’t buy it. For, if the national political press truly believed that voters are in need of and drawn to coverage of policies that actually impact their lives, it sure does have a funny way of showing it. What the establishment media increasingly serves up to the public instead is a thin gruel of theater criticism and cynical snark. And perhaps the least nourishing ingredient in this journalistic stew is a heaping helping of what the media calls gaffes. Now, gaffes can come in all shapes and sizes, but what’s most important about them is that the press thinks they’re important. Voters, not so much. Seizing on the inevitable verbal slip-ups or logistical snafus that happen every day in politics just isn’t much of a priority to people who don’t have a decent job or lack access to healthcare or live in fear of the police. For that matter, ever hear a regular citizen call out “What about your gaffes? !” at a candidate town hall or along a campaign rope line? I wrote that in frustration right after the press’s gaffe-obsessed response to last week’s woeful Kentucky Senate debate. 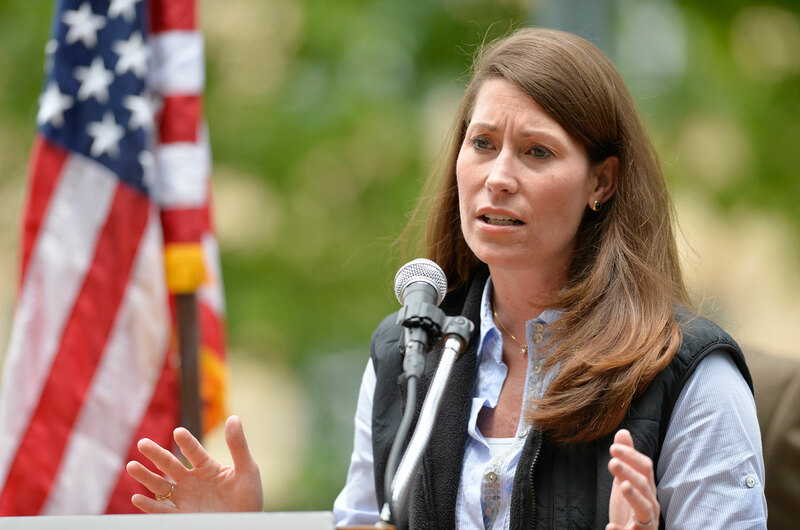 In it, Democratic candidate Alison Lundergan Grimes had refused for a second time to say whether she voted for Obama in 2008 or 2012 and her awkward evasiveness, nearly everybody in Washington agreed, was a huge gaffe. So much so, NBC News chief political correspondent Chuck Todd had already claimed on MSNBC’s Morning Joe earlier in the week that her refusal to directly answer the question earlier should have “disqualified” her from the office. To be clear: Grimes was not avoiding tough questions about being criminally corrupt or secretly belonging to some racist or fascist political group—revelations that would have had actual bearing on her fitness for public service. No, she was merely trying to distance herself from a president who has a lousy approval rating in her home state, a time-honored tradition if ever there was one. To Todd and his ilk, though, this alleged gaffe spoke volumes about Grimes’s character and made her an easy target for lampooning by her opponent, Senate Minority Leader Mitch McConnell. When confronted about his specious reasoning in a subsequent Facebook Q & A, Todd backed off his judgment a bit (“disqualifying for some voters” was his new formulation), but still defended his over-the-top analysis as reflecting “political reality.” But for all his cynicism, Todd still tries to have it both ways. For, later in the same Facebook chat he said he was “sick” over the fact the McConnell camp had already stuck his Grimes-bashing soundbite into a campaign ad. “Political reality,” of course, is what the press itself creates. Todd believes Grimes made a big gaffe because the DC conventional wisdom—which he both participates and marinates in daily—agrees with him. Under the guise of being objective, the press wants to deny itself any agency in manufacturing and perpetuating said reality. It likes to pretend it’s just calling ‘em like it's seeing ‘em, all the while ignoring the fact that the very act of seeing a gaffe is a subjective choice. That the line between the political media and the campaigns they cover grows ever more blurry really shouldn’t come as much of a shock to folks like Todd, though. It’s a perfectly predictable outcome, precisely because the press has increasingly adopted the perspective of a political operative rather than a voter when covering campaigns and elected officials. And to the operative, politics is less about governance—ideas and proposals and policy—and more about the horserace—optics and messaging and tactics. So, to cater to this audience, the political press increasingly relies upon polling, gaffes stripped of context, and oppo research for its storylines. In effect, its “objective” news values are being slowly co-opted by the partisans it covers. It turns out that when you gaze long into gaffes the gaffes also gaze into you. Indeed, the Beltway media has so inculcated this insider’s framing that it becomes almost impossible for any of them to see past the messaging in order to devote proportional coverage to those issues that really matter. Thus, when Mitch McConnell repeatedly dodges questions about the reality of climate change, the press barely notices. Likewise, when McConnell pushes 13 egregious falsehoods about the Affordable Care Act in less than five minutes during last week’s debate, Todd can muster up no more outrage than to say that that moment should disqualify the senator…from being majority leader. Keep in mind that, if McConnell got his way and shut down Kentucky’s state-run insurance exchange, it would revoke healthcare for 500,000 residents of his state. But to those in the establishment media like Todd and NBC News’s legacy hire and resident bro, Luke Russert, his radical, misguided comments were simply another gaffe, just like Grimes’s, and merely grist for the false equivalency mill. When the national press behaves in this way, it has a pernicious, trickle-down effect on local media as well. Consider, for example, the Des Moines Register’s surreal recap of last week’s Iowa Senate debate. For almost the entire story, the reporter stays fixated on the optics of the debate and rehashing the supposed gaffe the Democratic candidate, Rep. Bruce Braley, madeseven months ago. Finally, down in the eleventh paragraph, the you find one lonely token sentence on policy: “The pair sparred over Social Security, national security and health care.” But that was but a cruel tease, as right after it the story jumps right back to 20 more paragraphs on zingers and comebacks and body language without giving readers any idea of what the respective candidates’ actual positions are on Social Security, national security, and healthcare. In a long article about an Iowa Senate debate, in other words, the public was left with literally no idea of what the Iowa Senate debate was about. This Register story’s glaring omissions and superficial focus serve as a simulacrum of the past few months of myopic midterm campaign coverage. Ultimately, these upside-down news priorities do more than just frustrate readers—they endanger our democracy. They starve the citizenry of information about actual policy differences between the parties and candidates, while simultaneously gorging the public with empty-calorie coverage about meaningless minutiae and petty political squabbles. With control of the Senate hanging in the balance, the media owes it to the American people to fully explain the real-life stakes of the choices on the ballot next month. Sadly, too much of our political press is intent on offering coverage that strictly goes for gaffes, but the price the rest of us will pay for this journalistic negligence is no laughing matter. Editor’s Note: This blog post originally included a passage linking to a paper by Petra Marquardt-Bigman titled "Another Milestone for the Mainstreaming of Anti-Semitism: The New America Foundation and Max Blumenthal's Goliath." After a review, we concluded that this paper did not meet our standards as source material and so the link and the passage were removed by the editors.